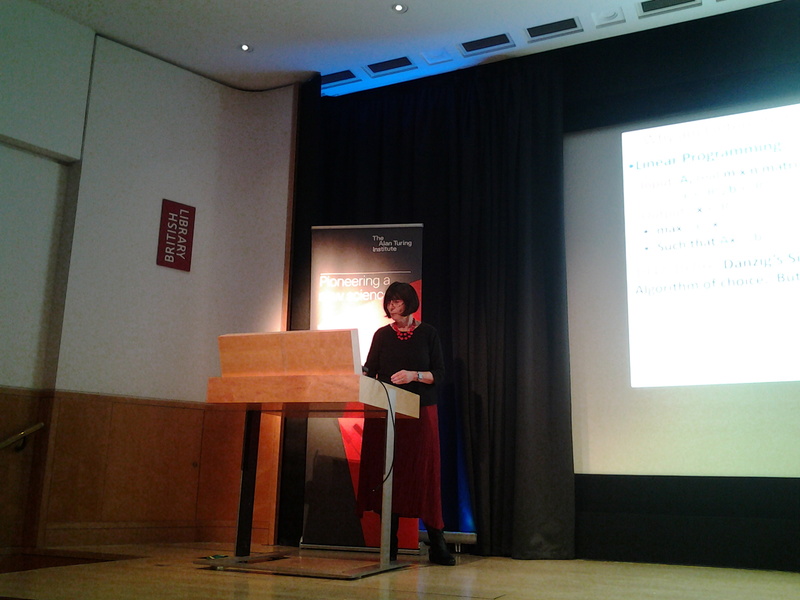 Recently I had the great pleasure of listening to Prof. Lenore Blum‘s talk about Alan Turing and the Other Theory of Computation at the Knowledge Centre of the British Library. computable numbers with the intrinsic size of an input word. Computing as a Lens on the Sciences. During her life Carnegie Mellon University, she has created fabulous opportunities for women to enter STEM, Science, Technology, Engineering and Maths. And she is now also involved in the start-up scene. from computing numbers to visualising them. And instead of looking at input words and their sizes, I’m displaying numbers with pixel accuracy. I wrote Visualisation Pixels – the Link between Digital Bits and Physical Atoms some time ago. But in future I will write ‘digital creations’ for ‘patrons’ who are willing to sponsor our Smart Knowledge Engine via my new Patreon page. In my view, this is better than crowdfunding, as the creators are DIGITAL. This entry was posted in 3D Metrics and tagged Alan Turing, Carnegie Mellon University. Bookmark the permalink.